Junior Training Week is nearly here! The Parsenn Derby downhill race weekend saw Marden’s members compete in both team and individual events. Many congratulations to all competitors and club trophy winners. See results page for details. Marden’s opened the 2017/18 racing season with success against St Moritz’s Corviglia Club, winning the Albula Cup (GS) on the Dorftali course. Thank you to the Corviglia team for another fun race and many congratulations to the Marden’s team! Club races were held on the Dorftali and results are now posted on the Results web page. Junior AICC 2017 – Marden’s dominate! Parsenn Derby cancelled…but there was still a Super-G! 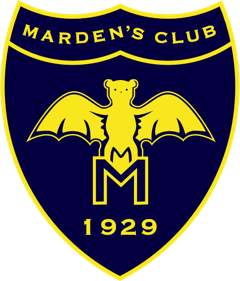 Marden’s spring racing campaign is about to start! Marden’s seniors will be donning their race kit once again to represent the club in several races during March, including the AICC in Alpbach (9th-11th March) and the Parsenn Derby (24th-26th March). Training in Klosters is scheduled for 6th,7th & 8th March. Good luck everyone! Success at City Ski Champs! Well done to our Race Captain on an excellent 2nd place at the City Ski Championships! For more details of the results click on this link to the City Ski Championships .